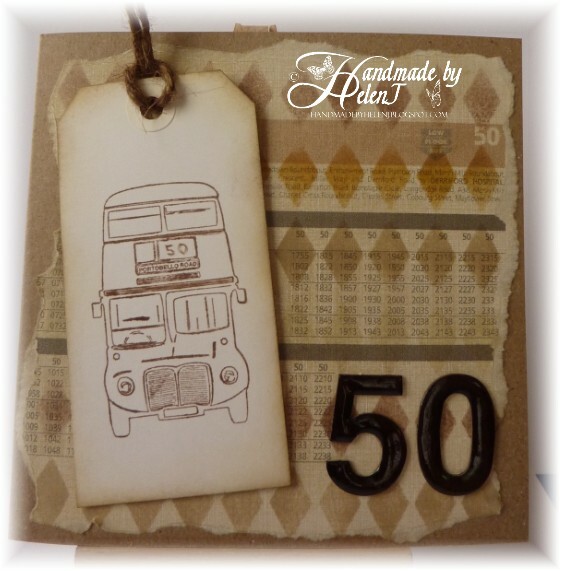 Another day, another blog post – this is one of my busiest times of year for card making! 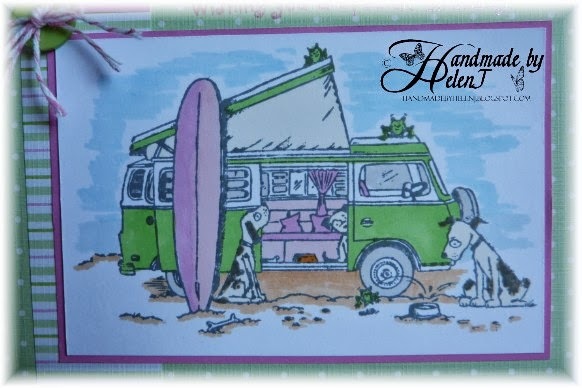 This card is for a friend’s daughter who is 15 today; she’s mad on camper vans so when I saw these stamps I knew I had to have them. 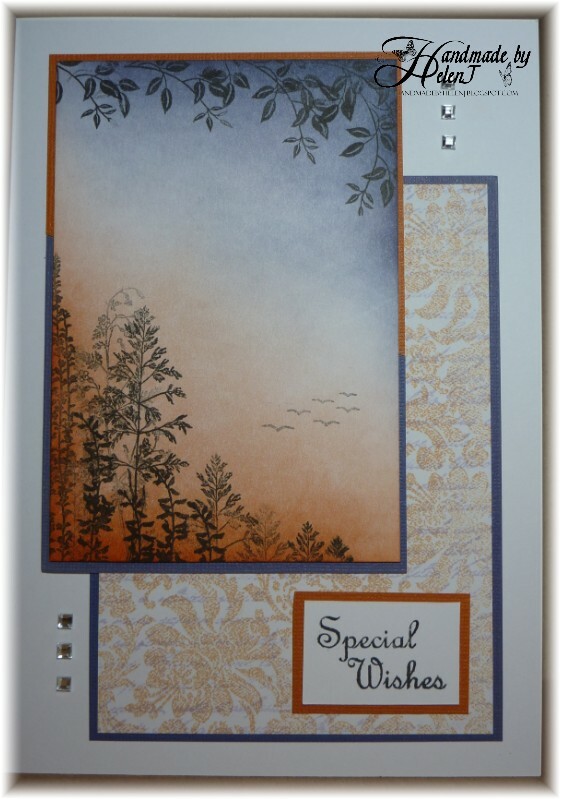 The main image is stamped & coloured with Promarkers to match the Papermania backing papers. 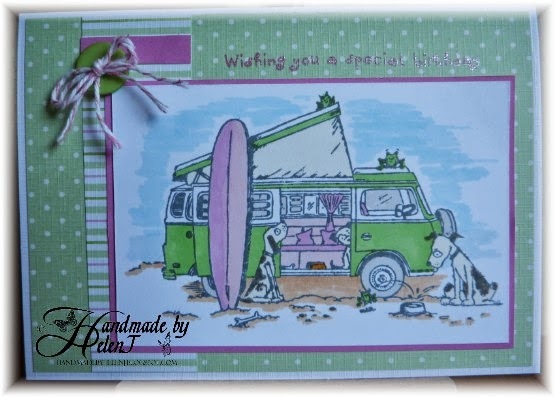 I am entering this card into this week’s challenge at Mojo Monday. 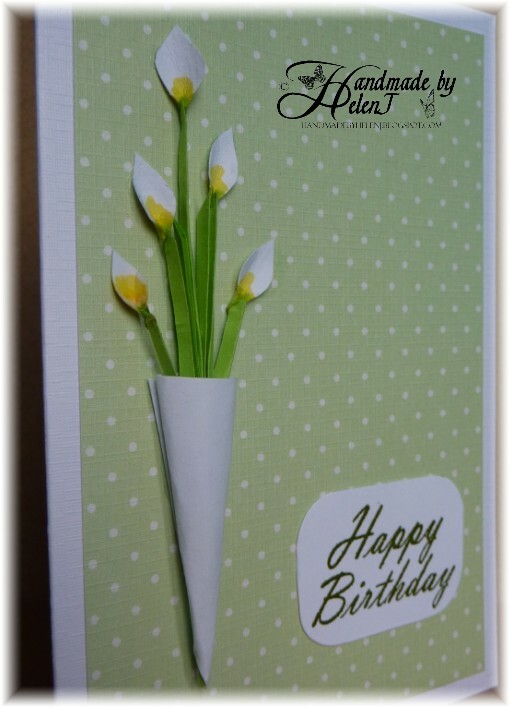 This card is for my sister’s birthday today. Purple & orange is her favourite colour combo and although I haven’t got many Adirondack inks those are two colours I do have so my trusty brayer came in handy again. 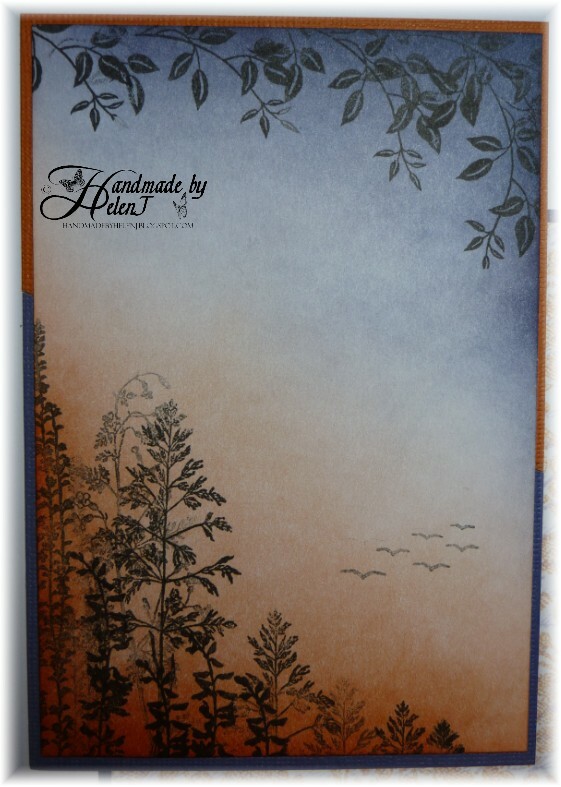 I decided to create what I hope looks like an evening scene using Inkylicious stamps. 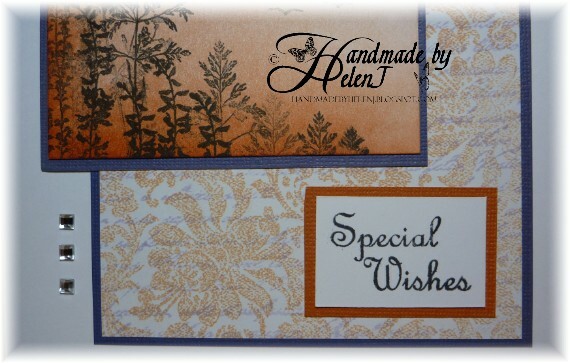 The background is a damask background stamp in pale orange, overstamped with a script stamp in lilac. I felt that a few gems were enough to finish it off. 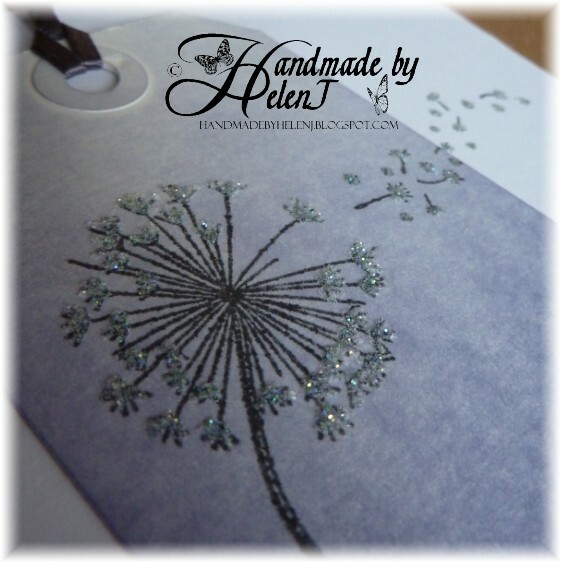 This week’s challenge over at Addicted to CAS is glitter – not something I normally like but I make an exception for Glamour Dust, which I think adds just the right amount of sparkle to a card. 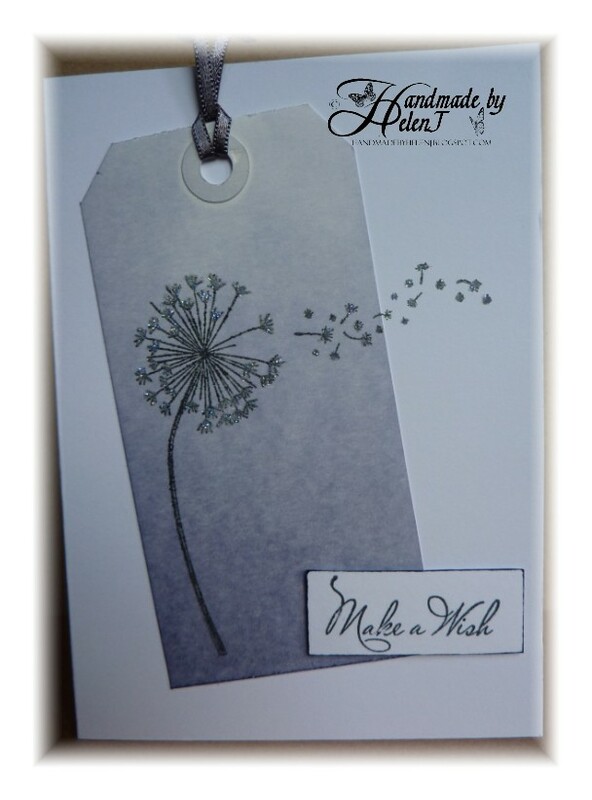 The tag is inked with Adirondack inks, the stamp is from Inkylicious and for me the seeds cry out for a little sparkle which is where the Glamour Dust comes in. Plain & simple but I think it works. 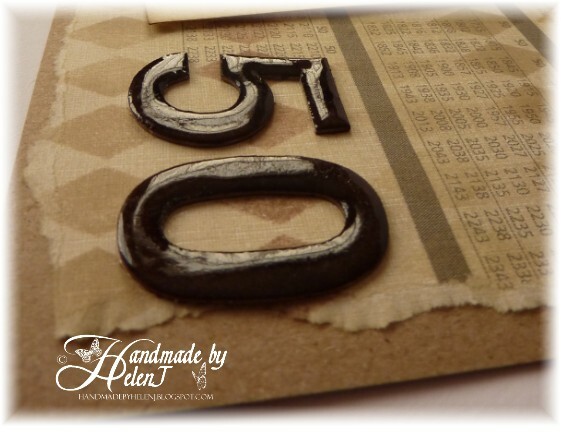 The theme for this week’s challenge over at Less is More is handmade flowers – almost a challenge too far for me! I spent most of Saturday evening trying – and failing – to make roses with hearts cut out of antique ribbon. Then I remembered quilling & dug out my supplies. 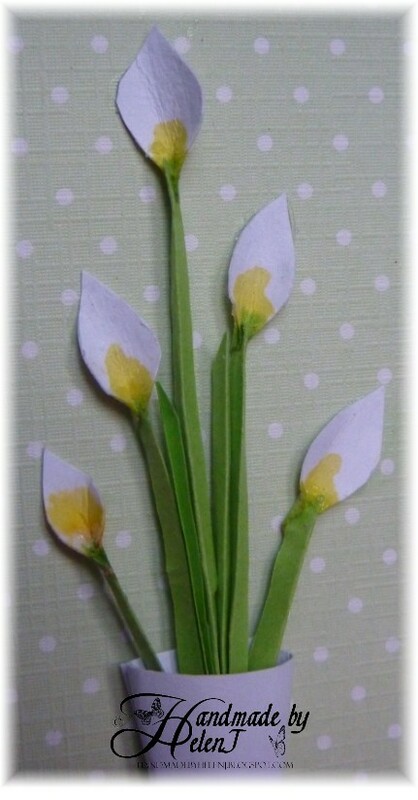 I handcut the lily shapes, coloured them with Promarkers & shaped them round the scissors. I folded the quilling strips lengthways to make the stems but decided they looked a bit untidy so made the “vase” out of a scrap of paper. 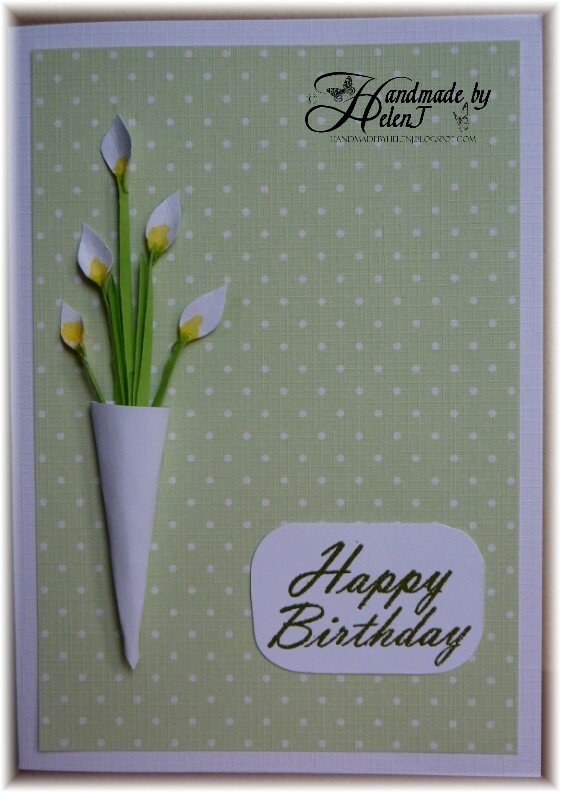 I decided a simple finish was best although it looked much too cheerful to be the sympathy card I’d intended it to be at the outset, so it became a birthday card for my husband’s aunt who turns 85 soon. As she’s almost blind I thought she’d appreciate the 3D effect. 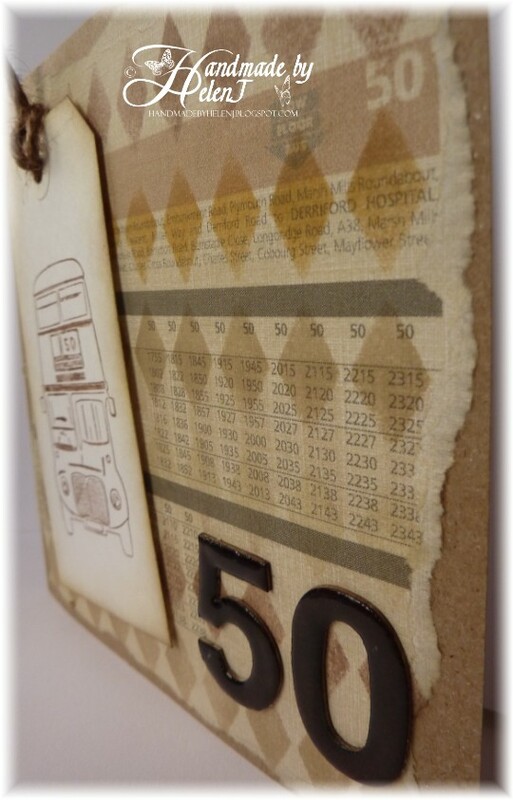 A friend of ours turned 50 yesterday – but we only found out last night that it was his birthday! So this card was hastily put together this morning and given the short notice I decided to stick with a formula which I’ve used before, but this time with a little twist. 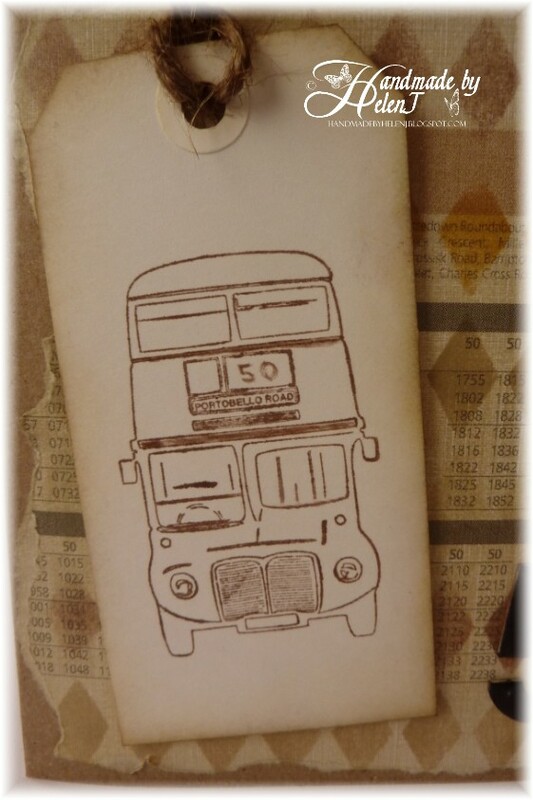 As Dave spends most of his spare time travelling on strange buses I knew exactly which image I wanted to use: it’s from the Papermania Portobello Road range of stamps, bought months ago with him in mind. 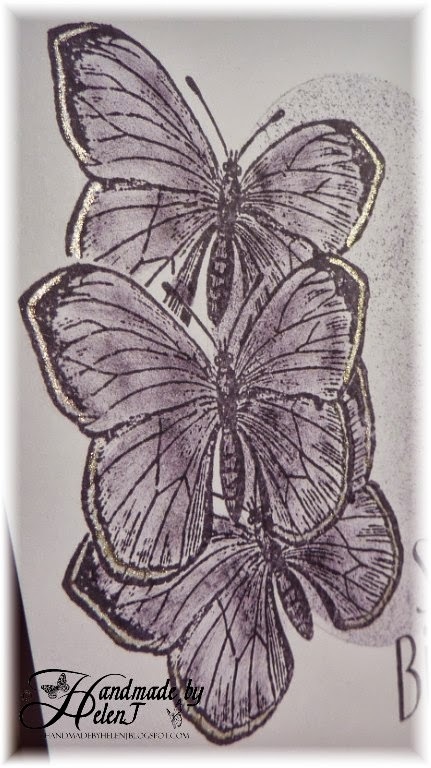 I stamped it onto an Inkylicious tag inked round the edges once with a light colour & then on the very edges with a dark brown. I’m always inspired by the amazing work of Heather Telford and this week was no exception. She mentioned a challenge called One Layer Wonder & the inspiration for this had to be an item of clothing – either from my own wardrobe or pinned on Pinterest. I really liked the colour of this top http://pinterest.com/pin/292874781987440143/ so that was my starting point for the card above, which is for my husband’s Goddaughter. It’s a far cry from the cupcake-related card I’d intended to make as the “birthday girl” makes the most gorgeous cakes but I simply couldn’t come up with anything I felt was good enough for her. 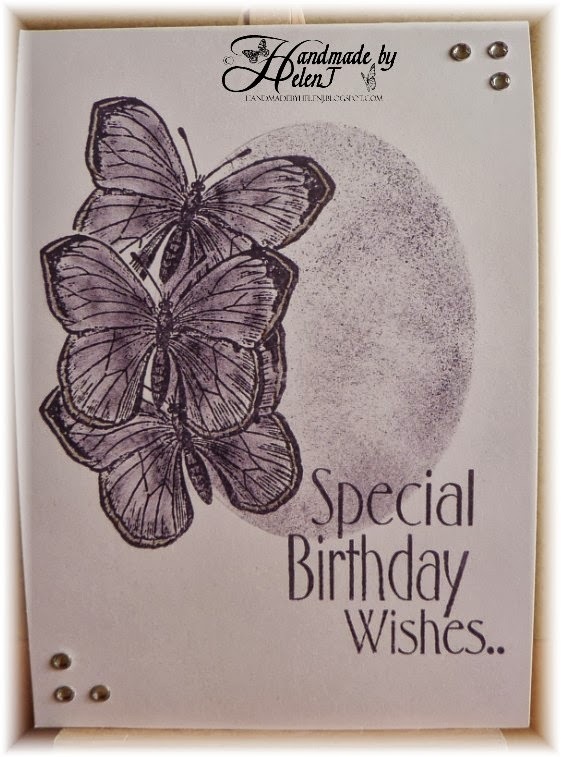 The butterfly stamp is by Inkylicious who are probably my favourite stamp company, and in real life the card looks much nearer to the colour of the top. I think my camera settings were wrong as I took the photos very early this morning whilst still half asleep! As is usual with my son, he informed me yesterday that it’s the 13th birthday of one of his friends today. I suppose I should be grateful he at least told me the day before – he sometimes tells me about birthdays on the day itself! As the two of them seem to lapse into game-speak the minute they meet, the theme for this card was an easy choice and an ideal opportunity to play with a recent Ebay purchase of some Papertrey Ink games stamps. I framed the greeting with a stamp by American Crafts. I decided to play along with a couple of challenges again this week, I find this really helps my card designs come together a lot more quickly. 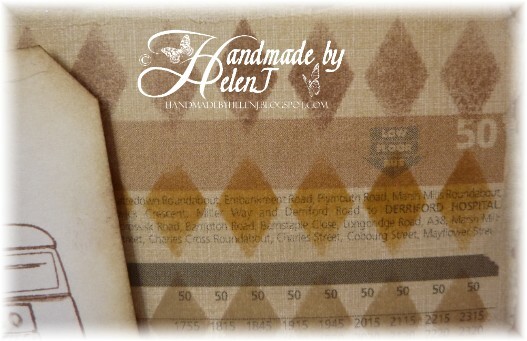 The latest challenge at Less is More is a one layer card which mustn’t be a square or rectangle. 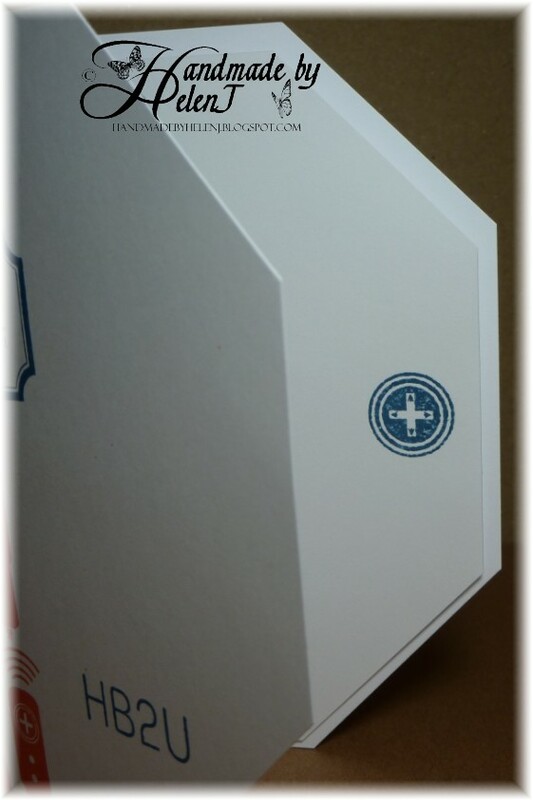 As I don’t have a cutting machine or any dies to make a card blank I had to keep it simple so I stuck with a hexagon as that was easy to achieve with an ordinary guillotine! I also combined it with the sketch at Sketch Saturday & have discovered another challenge at Keep It Simple that I can enter it into as well. 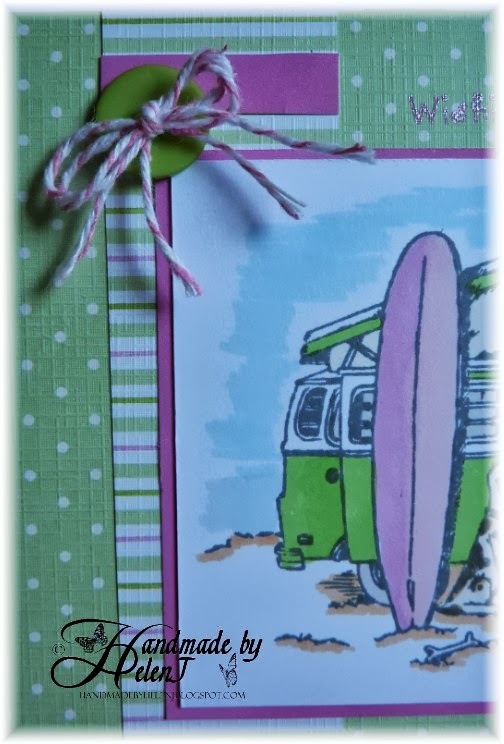 I don’t normally decorate the card inserts but I decided to use one of the individual stamps to add a little bit of detail for once. Challenges: Less is More #128, Sketch Saturday, Keep It Simple!